Clean, long lines; unique design and innovative equipment allow the Dufour 512 Grand Large to offer absolute sailing performance with complete luxury. 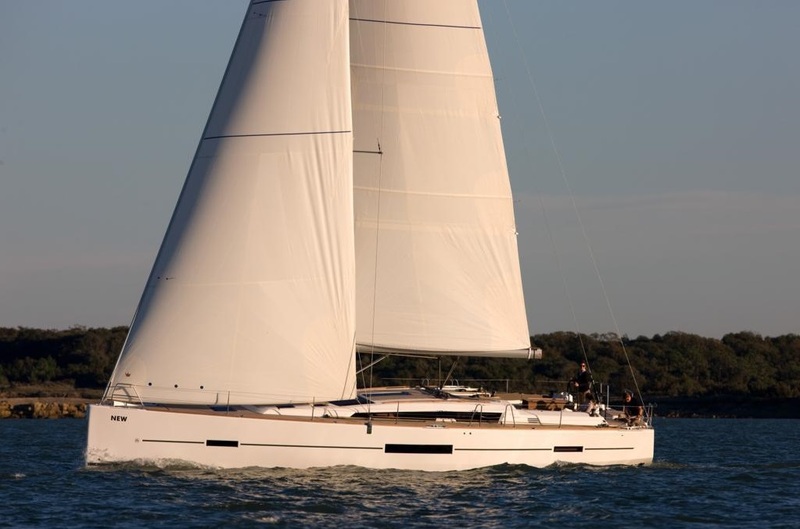 The new Dufour 512 marks a major step in the development of the Grand Large range. Its exceptional design defines space, offering a unique feeling of freedom onboard. With a rare elegance, the spacious rear cockpit is notable by its organisation in two separate spaces: an area for sailing and one for entertaining and relaxing. The uncluttered deck, with integrated storage, offers a large open space. Clean lines, unique design and innovative equipment, the 500 Grand Large offers absolute comfort until now reserved for super luxury vessels. It is the perfect synthesis of Grand Large philosophy and the requirement of sailing, performance on the water, and navigation. Internally, the Dufour 512 Grand Large layout allows for three en suite double cabins, making her ideal for sailing with company or as a charter opportunity. The split linear galley continues the feeling of space and inclusion, allowing the chef to be included in the social activity around the large saloon table and seating. There is also an option for an additional cabin and head. The starboard side full length sofa provides amble seating. The island forward berth allows space for a separate head and shower cubicle. The luminous interior is emphasized by the numerous port lights and deck hatches; the luxurious feel continued by the choice of fabrics. Finance available part, exchange considered!